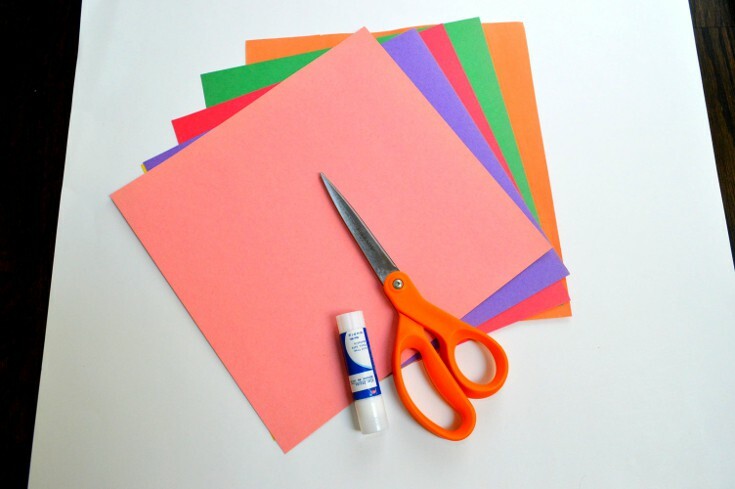 This shape activity for preschoolers requires very simple materials. 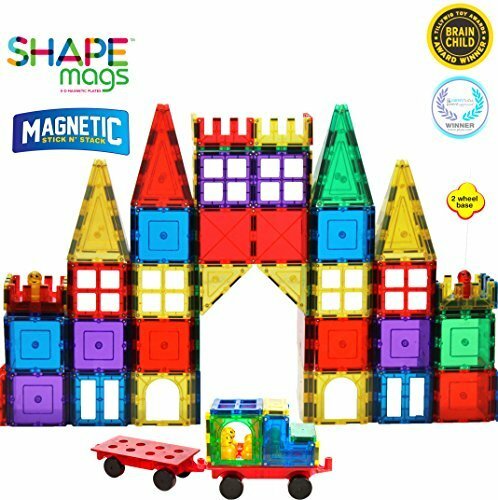 It is the perfect project for little kids to exercise their fine motor skills and learn to visualize different 3 dimensional shapes. Note that this project requires a lot of eye-hand coordination. 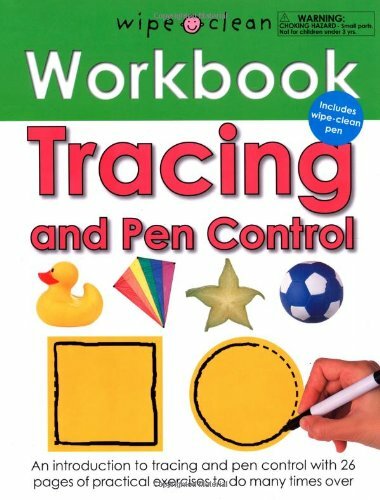 I’d recommend this for children above 4 years old. 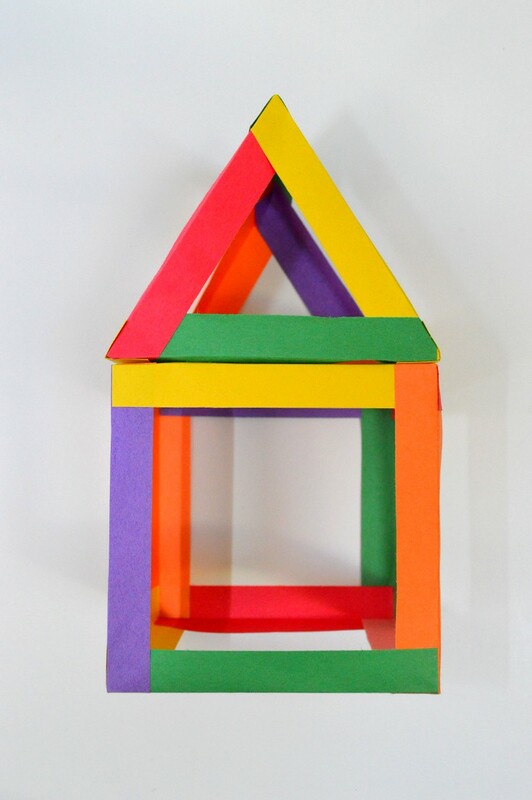 We will be building a prism and a cube to create a house. 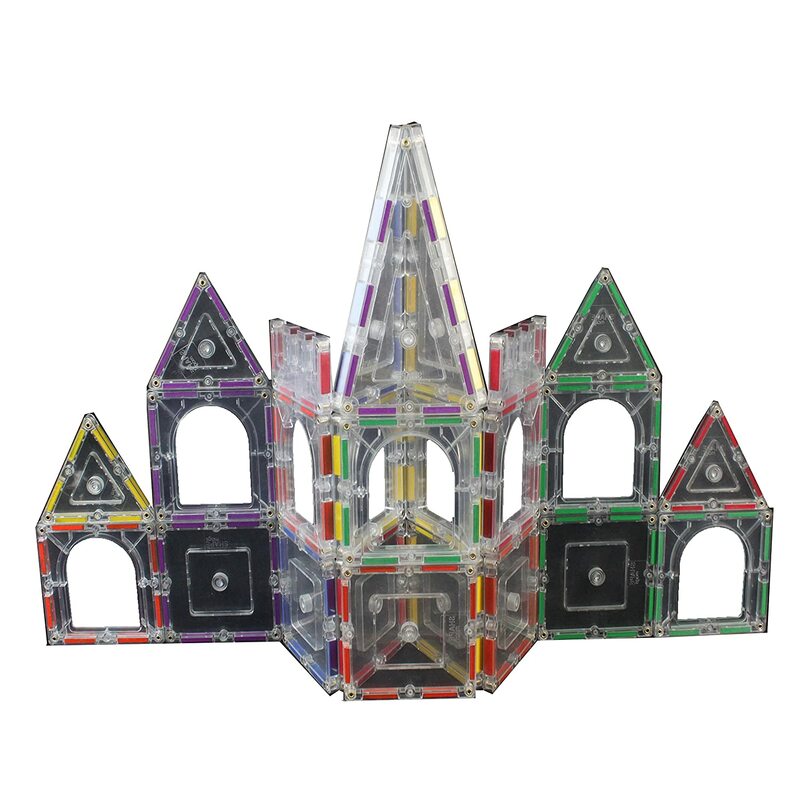 First, let’s build the prism. Gather your materials. 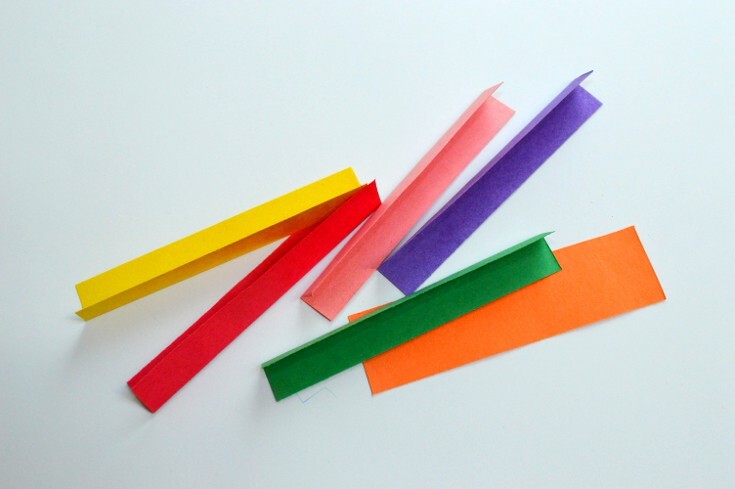 Cut 9 strips of color paper. 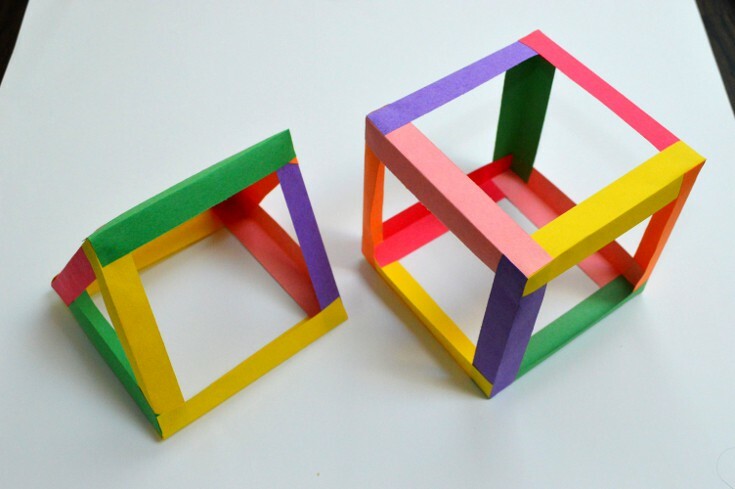 Make sure they are the same length or otherwise the cube will be crooked. Fold each strip in half lengthwise. Then create two base shapes. 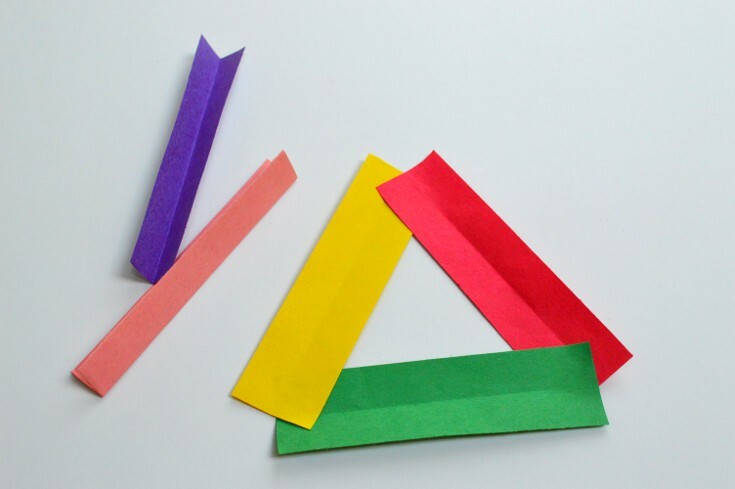 Since we are making a prism, the base shapes are equilateral triangles. 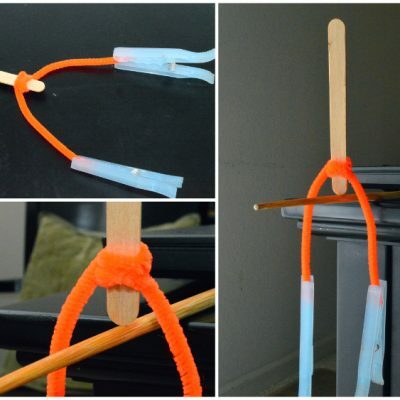 Glue one strip perpendicularly on each corner of the triangle to make a pole. 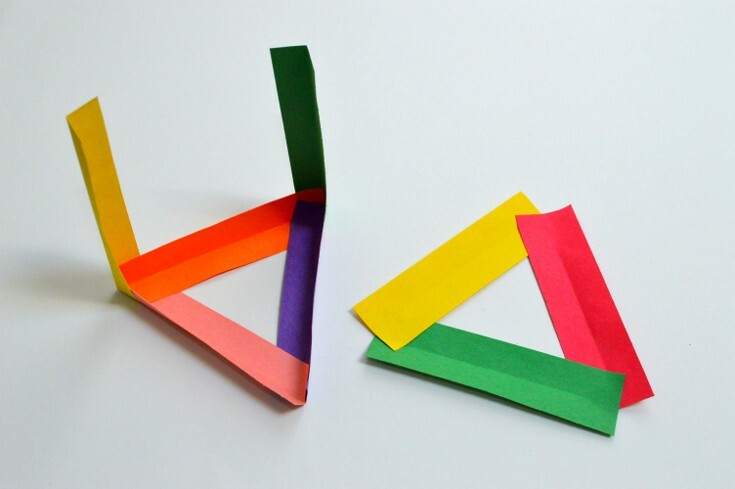 Stick the other base onto the 3 poles to finish the prism. 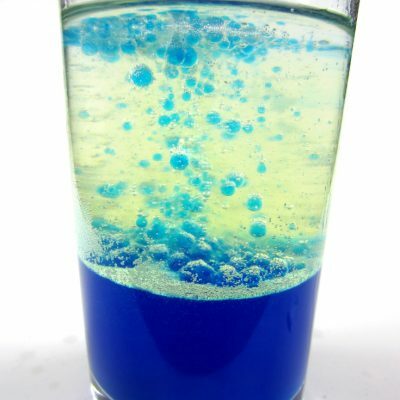 Now do the same thing for the cube. This time, you need 12 stripes and the base shapes are squares. Finally, put the two objects together to form a house. These cube and prism are colorful and look great. 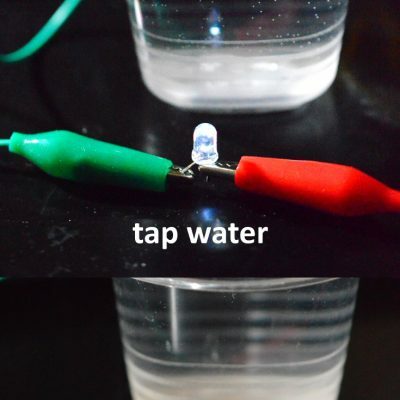 Kids can use them as decorations in their room. Don’t forget to learn some geometry along the way. A prism is comprised of 9 strips. 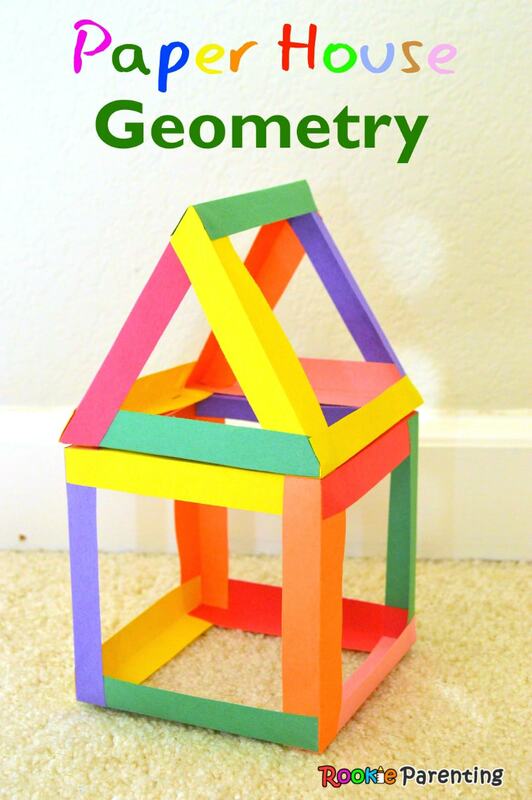 It has 5 flat surfaces – 2 equilateral triangles and 3 squares. 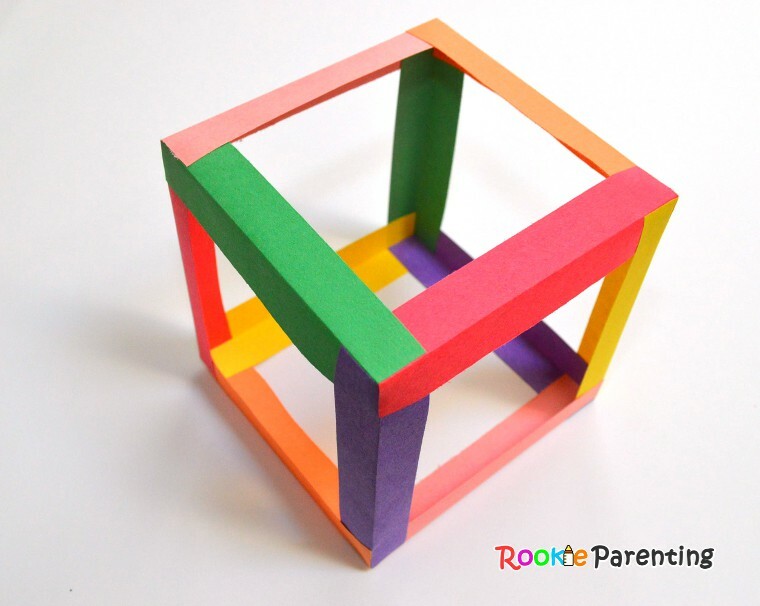 A cube is comprised of 12 strips. It has 6 surfaces – all of them are squares. 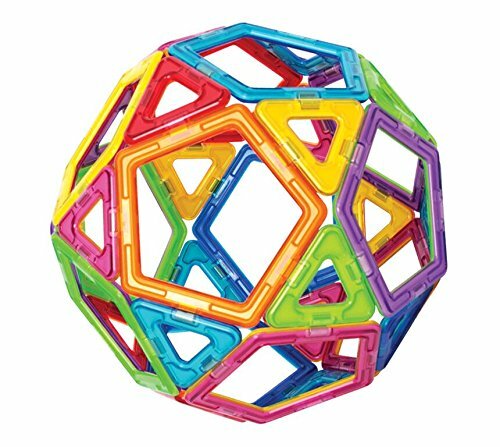 Here are some great toys for kids to learn to build complex three dimensional structures.